Unlocker 1.9.2 is the latest version of this very popular tool. It can unlock, rename and move even the stubborn files and folders that’s being prevented by different system processes and viruses, so that, it cannot be deleted. 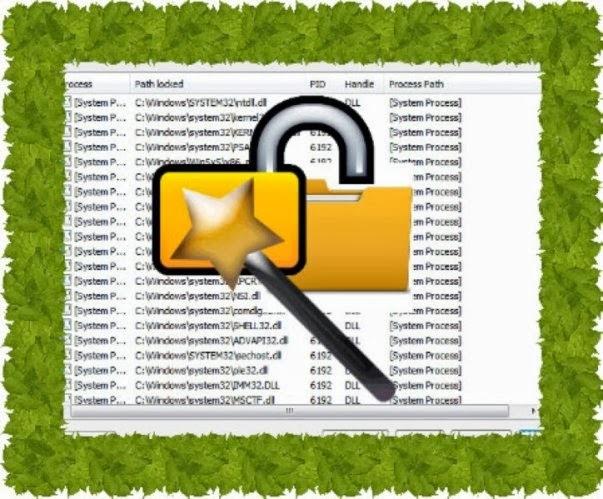 Unlocker’s job is to help remove the undeletable files and folders by locating the processes that blocked it from being erased. The source or destination file not found or may be in use. The file is in use by another program or application. There is a sharing violation. If you are using windows, I know you are very familiar or maybe you’ve experienced at least one or two of those errors mentioned above. Usually, these give you a headache, but for sure Unlocker 1.9.2 will give you relief. Unlocker 1.9.2 is very easy to use, just simply “right click” the undeletable file or folder that you want to remove. Then, select the processes that you want to stop and hit “kill process”. This method usually helped in instantly getting rid of those stubborn files. However, if you are not sure of whether to kill certain processes or not, just use the “Unlock” and “Unlock All” button. Unlocker detected as virus by your Anti-malware. You don’t have to worry, unlocker is 100% clean and safe to use, it’s false positive, just add it to your Antivirus’ exclusion lists. Unlocker “not responding” or not working at all. There are cases that this occurs. You need to uninstall it from control panel and delete all Unlocker registry keys. Unlocker doesn’t have any special system requirements because it is super light, it’s only less than 400 KB. It can be installed and runs smoothly on Windows 2000, Windows XP, Vista, Windows 7 and Windows 8 both 32 bit and 64 bit. Have something to share about Unlocker 1.9.2? Feel free to start a conversation in the comment box below.